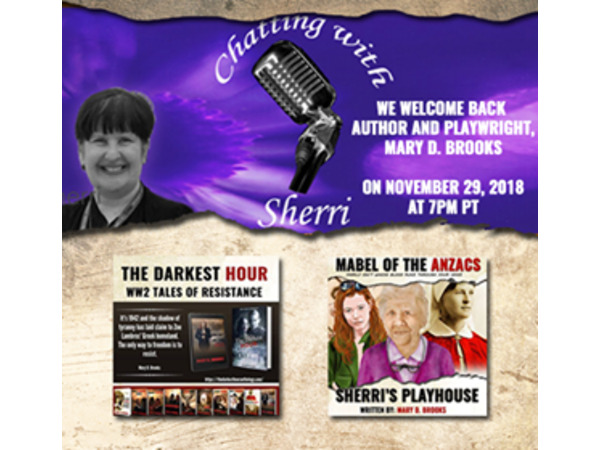 Chatting with Sherri interviewed author and playright, Mary D. Brooks and the interview will be broadcast on 29 November at 7 pm PT. 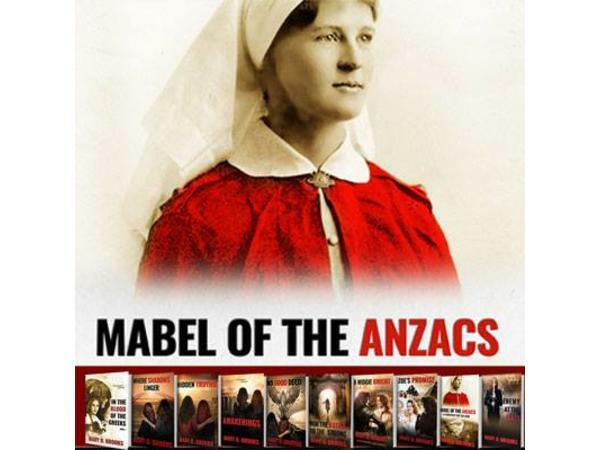 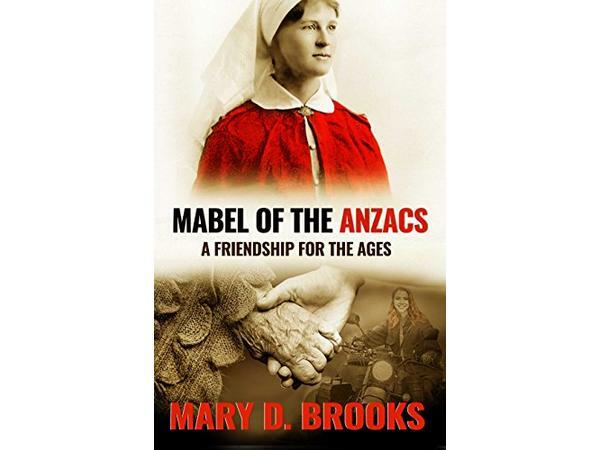 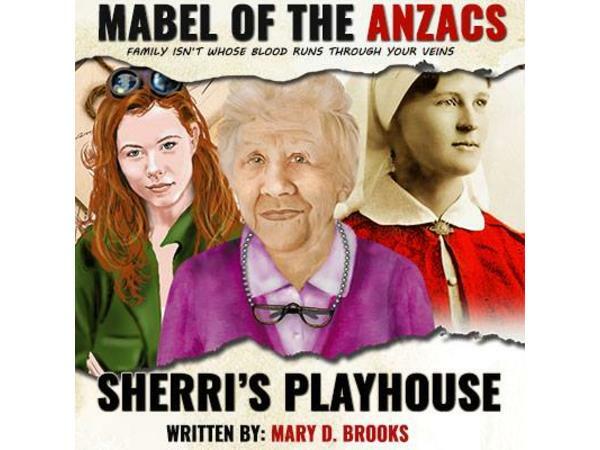 We talk about Mabel of the Anzacs radio play and all sorts of interesting stuff about writing, finding a unique voice for your own writing, her upcoming novella "Enemy at the Gate" in The Darkest Hour anthology, how fanfic can make you a better writer and why it's a great foundation for your writing and all sorts of interesting stuff! 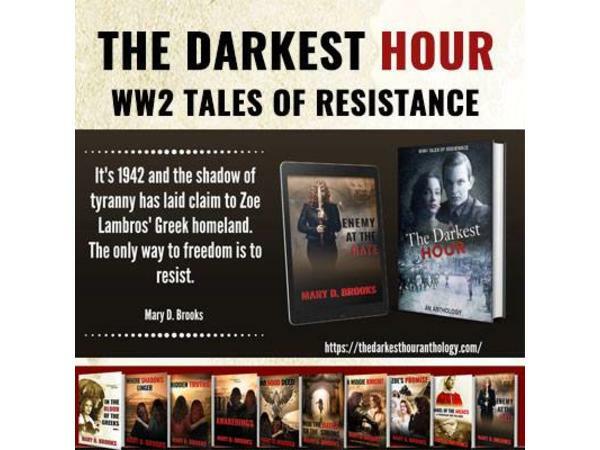 Tune in and there will be a special announcement at the end you probably won't want to miss out on.